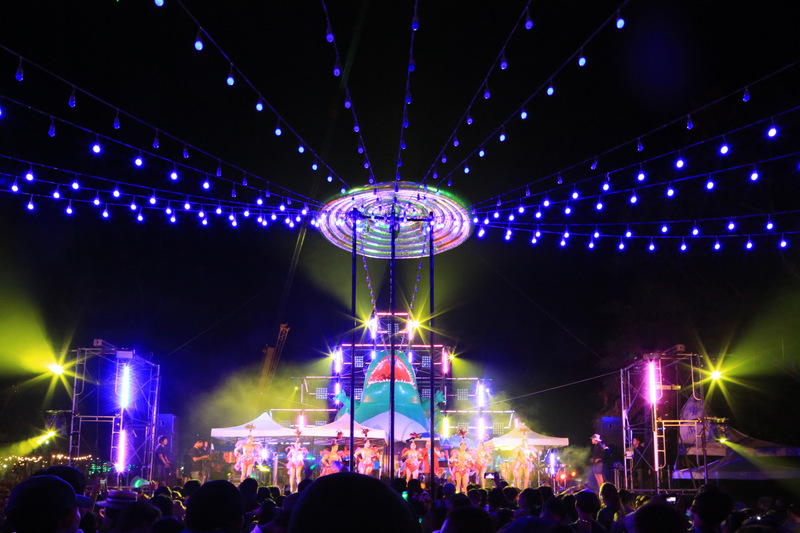 Many times our designs start from silly ideas… Rumwong stage is truly one of those cases. Born to house a traditional dance activity widely popular in Thailand’s villages, the stage has a very unique set up. The musicians usually play folk music and their audiences dance around in circle. Sometimes there are dancers on stage whom people can go asking to dance with. 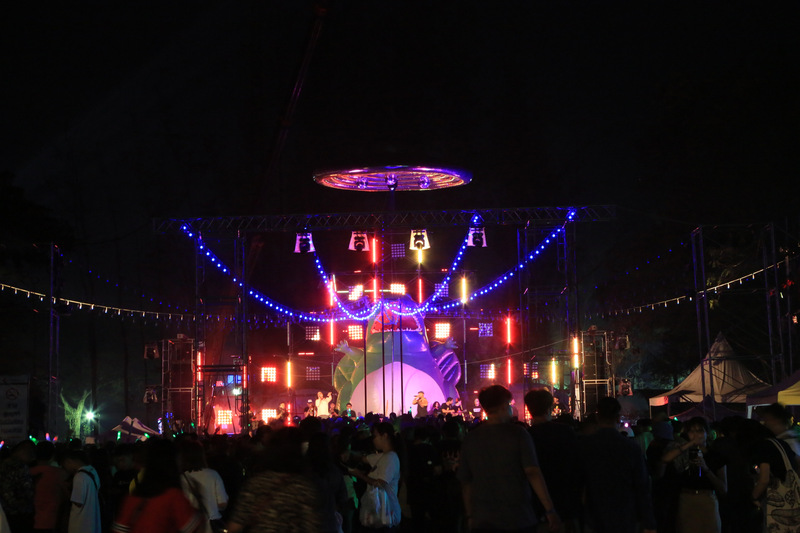 These days, Rumwong is not easy to find in big cities of Thailand, therefore having it in Big Mountain Music Festival is an eye opening for for a lot of young audiences. From our observation, Rumwong dance needs a central pivot as one of important elements for people to dancing around (almost like a camp fire dance.) Back in 2014, we came up with a silly idea of putting “Monster” in the center of the stage and let the audience having activities around it. We learned it from a typical Japanese super hero series where gigantic monsters invade the world and always triumphed. 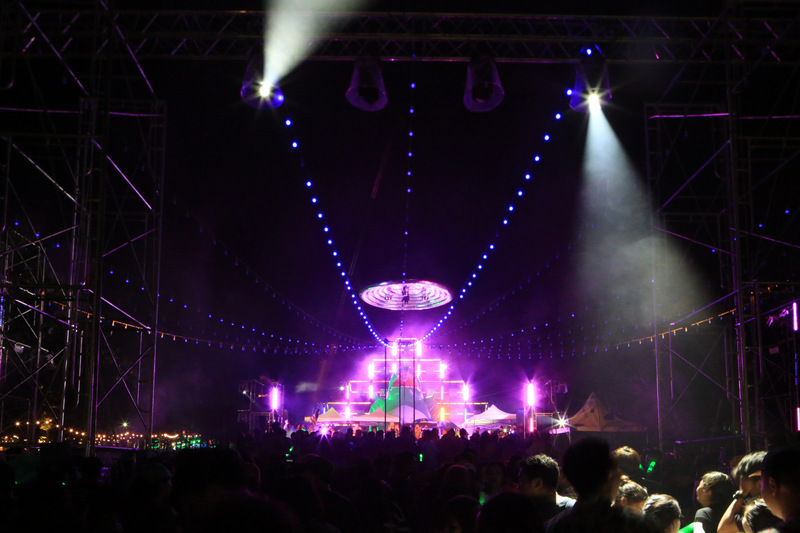 The 6 m. high inflatable green monster was made following a 2D sketch and placed as an emblem of this stage for the last 5 edition of BMMF. 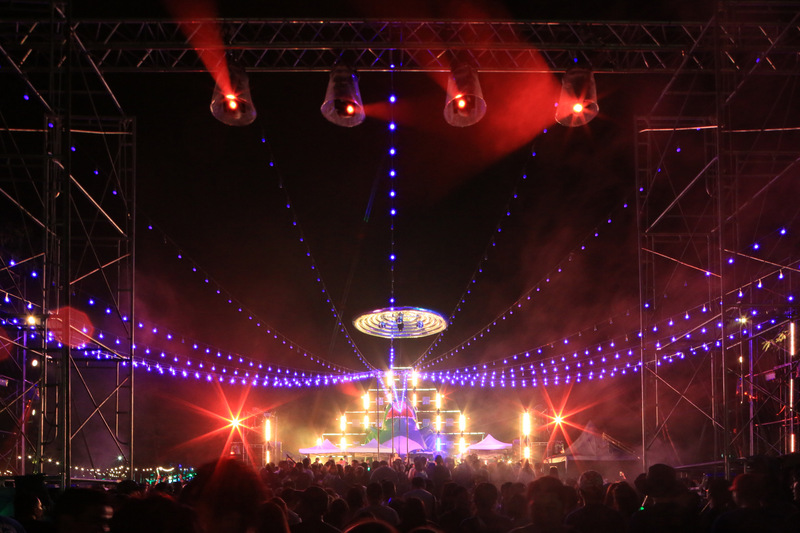 This year sees a return of many items from previous BMMF celebrating its 9th edition. 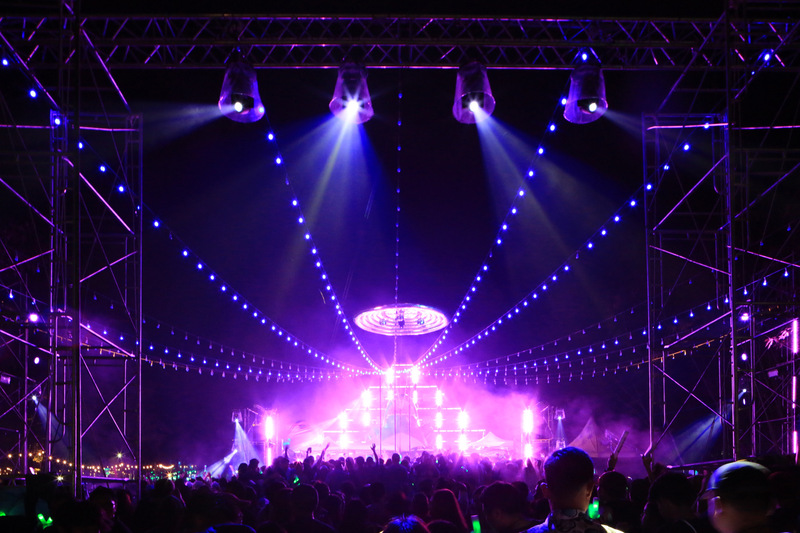 We place the UFO (from District 9 stage) above the Monster in Rumwong stage making this stage even more fun… A giant abduction. 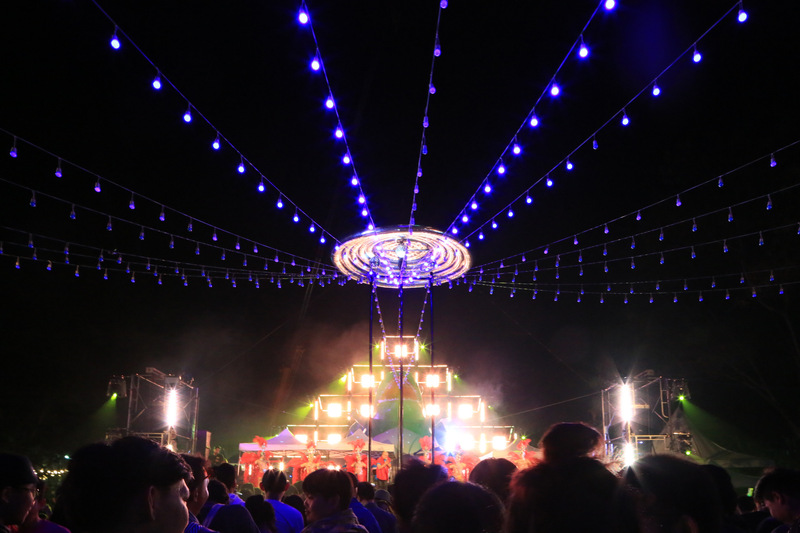 Rumwong stage, ran by a famous rapper, Jeoy Boy, has always been full of fun mixing different genre of Thai music together with folk song. 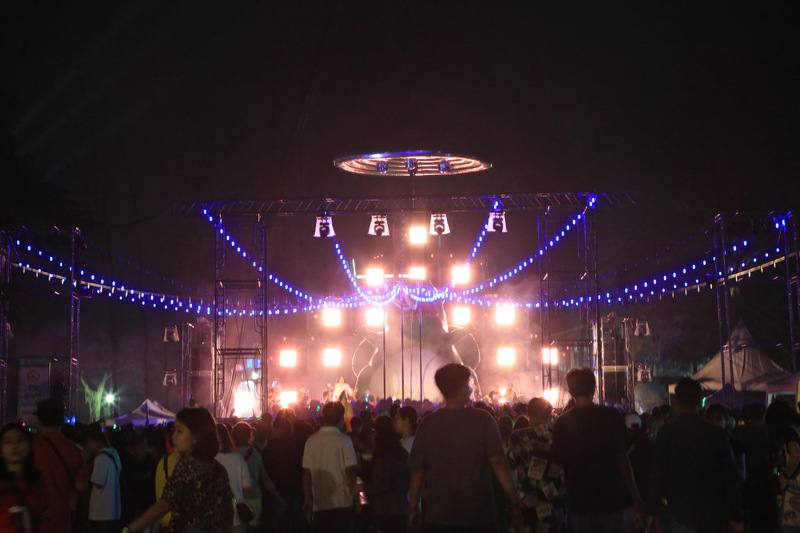 This entry was posted in 2018_Big Mountain Music Festival 9, Event Design and tagged big mountain music festival, bmmf9, rumwong, supermachine studio. Bookmark the permalink.